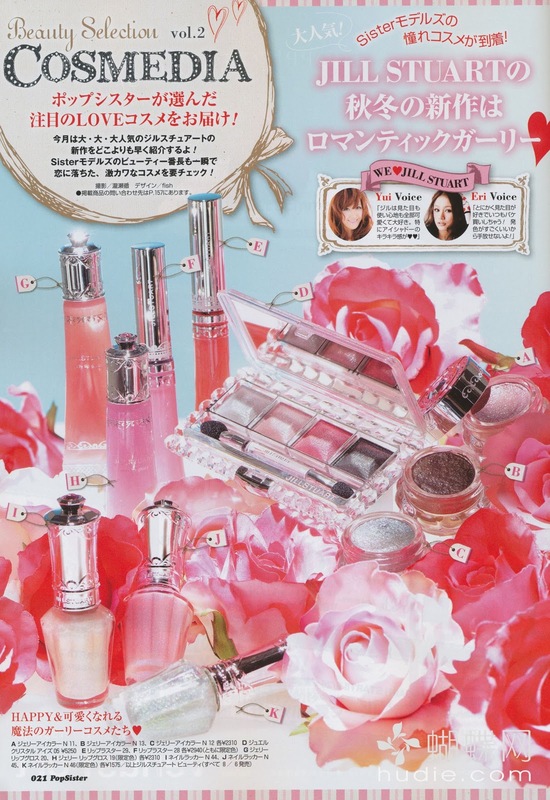 All items are permanent except for the two Lip Lustres, Jelly Lip Gloss #19 and Nail Lacquer N #46. The Blush Blossom (loose powder blush in 5 variations) duos will also be released on the same day. The Jewel Crystal Eyes 05 is yet another sweet pink quad that looks like a combination of shades from Jewel Crystal Eyes 03 Princess Sapphire and 04 Pink Cameo. Aside from the Blush Blossoms, the rest of the collection is really nothing that we haven't seen before from Jill Stuart. 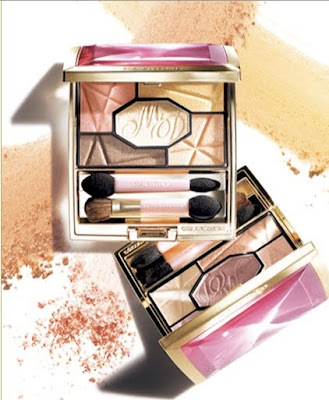 A reader also left a comment saying that according to a Kose Singapore staff, Kose will be introducing Jill Stuart to Singapore in 2011. That's definitely something to look forward to! 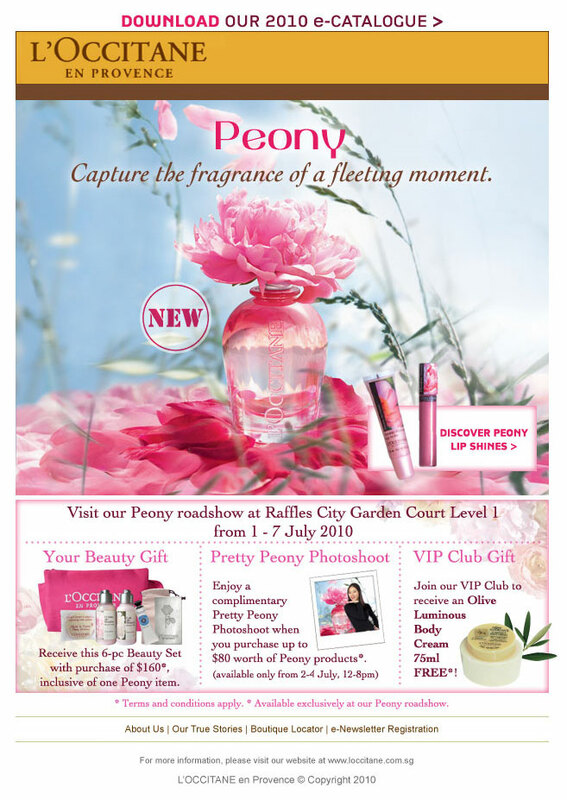 Biteki.com has reported that Guerlain will release a new Lingerie de Peau liquid foundation on 3 September in Japan. 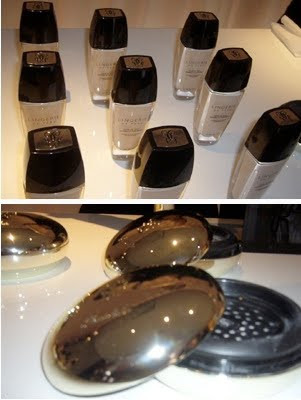 The foundation, which is available in 9 shades, is formulated with SPF20 PA+ and will retail for 7350yen for 30ml. There will also be a new Le Violet (not sure of exact spelling) Minerale loose powder. 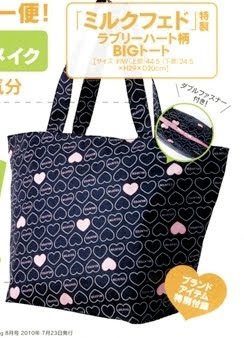 This will be available in 5 shades and retail for 7560yen. L'Occitane is launching their Peony collection with a roadshow from 1-7 July at Raffles City. I've been eagerly anticipating this collection as it is L'Occitane's first foray into colour makeup but judging by the L'Occitane Singapore website, it looks like the only makeup items available in Singapore will be the lipglosses and lip balm. There's no sign of the Facecolor Powders, lipsticks, eyeshadows, tinted water and illuminators, whereas Malaysia got virtually the entire collection. 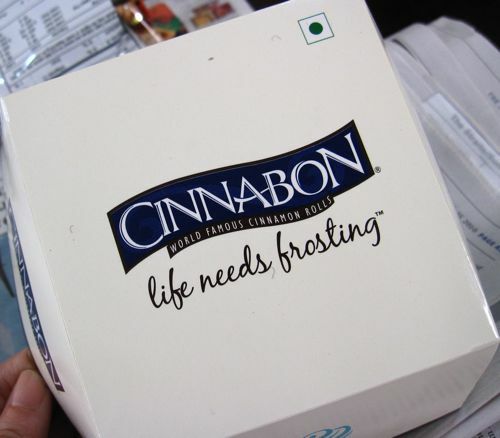 What a disappointment! Integrate will release its Fall 2010 collection on 21 August in Japan. With the theme of "Lovely & Happy", the most eye-catching new item must be the Rainbow Grade Eyes, which is a line of 9 eyeshadow palettes designed to make it very easy for anyone to do a perfect eye gradation. The shades in the palette are: (1) primer/base, (2) highlight colour; (3) accent colour; (4) line colour; and (5) rainbow pearl shade which is to be patted on over the other powder eyeshadows for extra sparkle. Shu Uemura will release a new Lash Builder (3150yen) on 1 July in Japan. The Lash Builder can be used under mascara during the day and by itself at night to help grow longer, fuller lashes. Fifteen new nailpolish shades will also be released on the same day. FANet has posted more pics of the upcoming limited edition Jill Stuart Pouch (Crystal Clip). 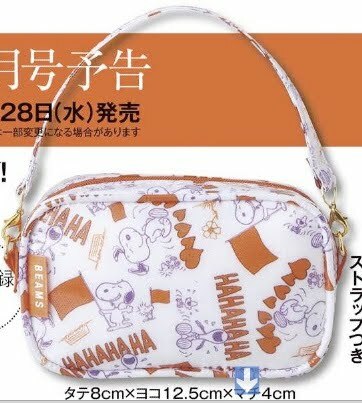 The pouch will be released on 20 August in Japan and retails for 3990yen. 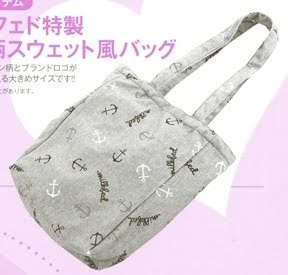 It measures 20x13x4.5cm and can fit all the makeup items shown (which are of course not included with the pouch) in the pic. 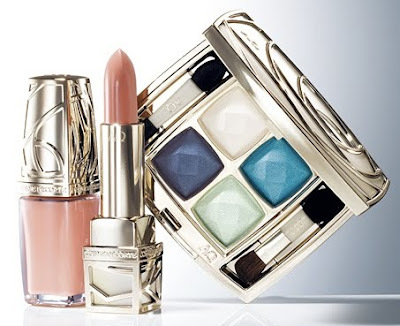 Cosme Decorte AQ (which stands for Advanced Quality) went with an Aegean Breeze theme for its Summer 2010 makeup collection. The model is wearing the new Shadow Supreme #26, Light Focus WT001, Pencil Eyeliner N BK001, Mascara Excellent BK001, Pencil Eyebrow N BR301, the new Rouge Supreme OR252, Lip Liner BE801, Face Color N OR200 and BR300, Nuance Glow WT001 and the new Nail Supreme OR221. The website has the application steps for the Shadow Supreme #26 palette here (click on the "how to makeup' button). 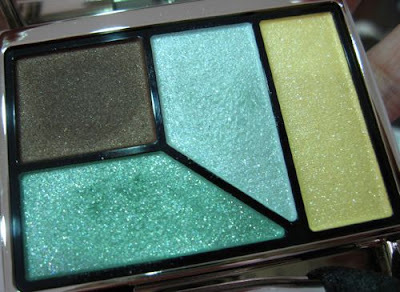 The summer collection also includes a new green/brown Shadow Supreme #27 palette (6825yen). Cosme Decorte AQ is one brand that I've never ventured into, mainly because of its very high price points. For example, the Rouge Supreme lipsticks retail at 6300yen (about US$71) each while the nail polishes are 3150yen each. And people were already wincing at Tom Ford's lipsticks which cost US$45! Cosme Decorte AQ's sister brand, Magie Deco went with a bolder Latina Magic theme of corals and peaches. The collection includes two new Shadow Brilliance palettes (5775yen), LC304 Latina Beauty and DC035 Be Glamorous. You can check out the application steps for the Shadow Brilliance II LC034 here (just click on the "Eyecolor makeup" button). The model, Lily Donaldson, will also be fronting the ad campaign for the new Burberry Beauty line which is set to launch worldwide in July. You can read more about it on the New York Times website. Here's a look at some of the upcoming Japanese magazine freebies. The release dates stated are for Japan. If you want to know the date of arrival at Kinokuniya in Singapore, please check directly with Kinokuniya. The air shipment days for Japanese magazines are usually Wednesday and Friday of each week, but subject to changes such as due to public holidays in Japan. Mini (1 July): Milkfed bag (large enough to fit the magazine). You can view the video clip here. 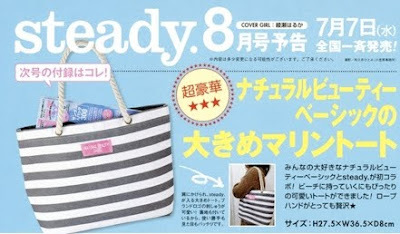 Steady (7 July): Nature Beauty Basic striped tote bag. You can view the video clip here. Nonno (20 July): Suzy's Zoo mini pouch. 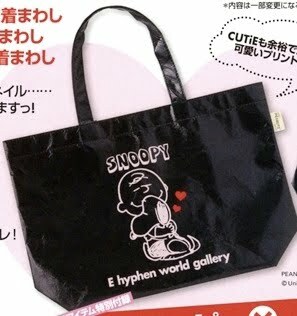 More (28 July): Snoopy x Beams pouch, fits a digicam. 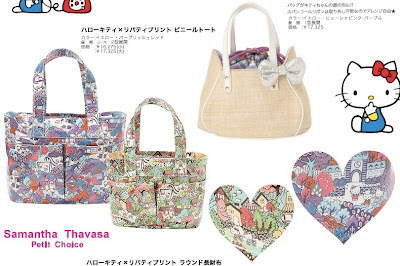 Just read on Yumeko's A Dream of Tokyo that Samantha Thavasa has put out a new collection in collaboration with Liberty and Hello Kitty! 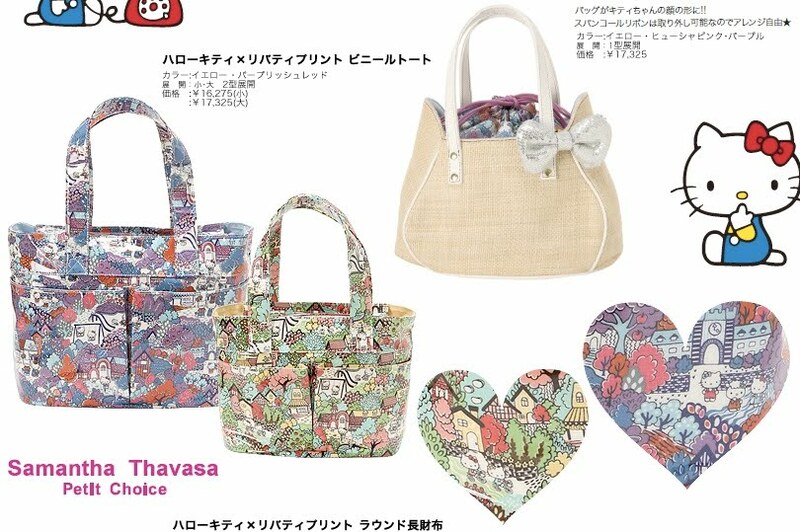 The collection was just released on 23 June in Japan and spans the Samantha Thavasa, Samantha Vega, Samantha Thavasa Petit Choice brands. 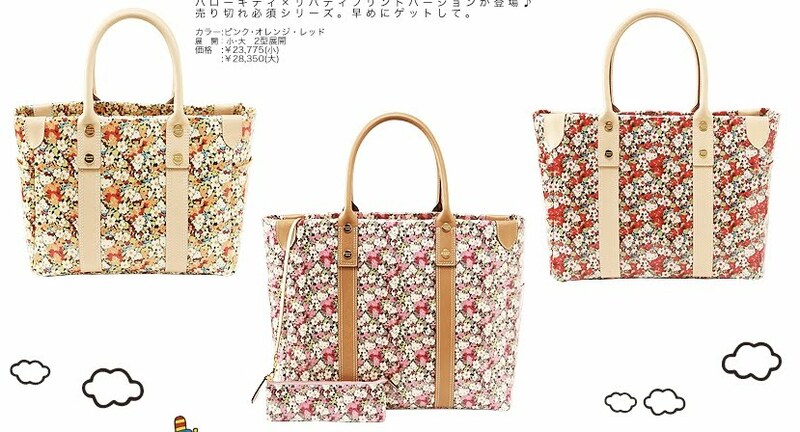 You can see the full collection on both the Samantha Thavasa and WWCity websites. 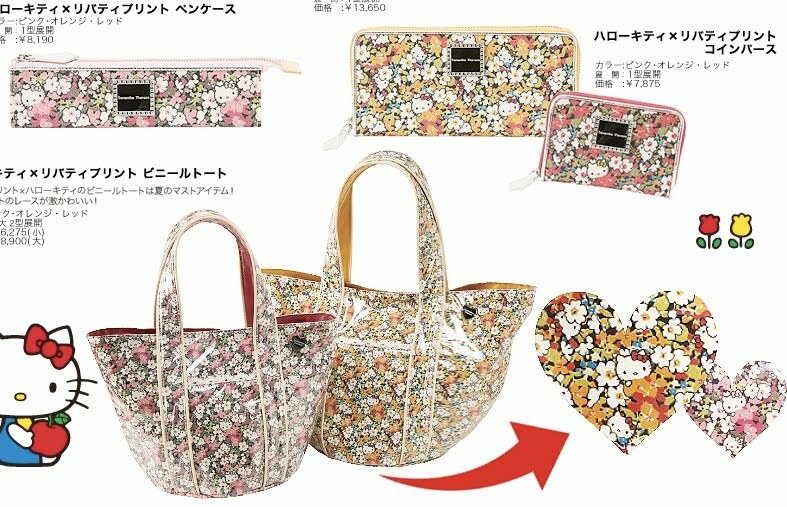 As much as I love my Samantha Thavasa Liberty-print wallet that I picked up in Tokyo in April, I think the line is a tad overpriced especially since most of the bags are made largely of vinyl (much like the Crystal Ball bags), PVC or cotton. 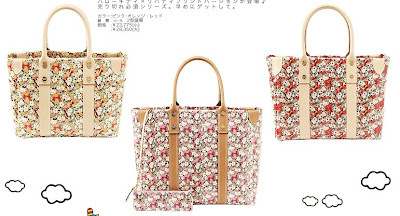 The prices range from around US$100 for a makeup pouch to about US$300 for the larger bags. Just a bit more information about Samantha Thavasa. There is actually no designer with that name. 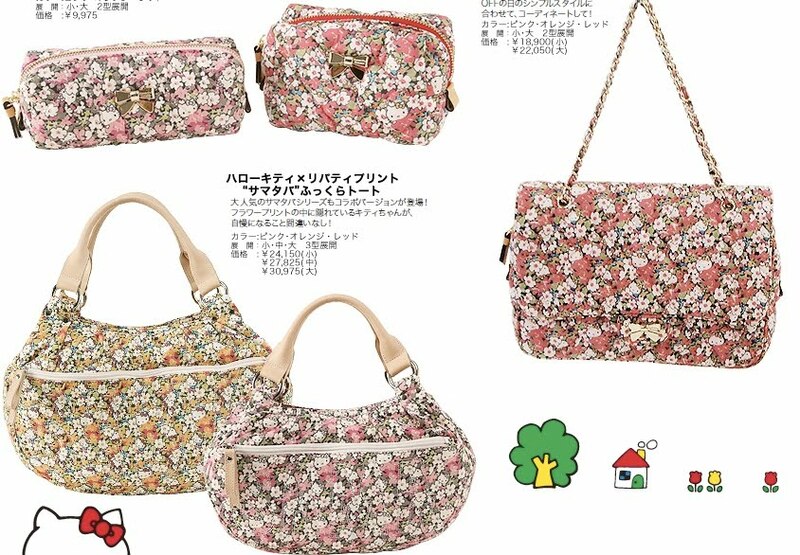 The company was founded in 1994 by a Mr Kazu Terada and is known for its high-profile ad campaigns and collaborations with foreign celebrities like Beyonce, the Hilton sisters and Victoria Beckham. As mentioned earlier, I picked up the K-Palette Real Lasting Eyebrow 24h in 01 Natural Brown at the promotional price of only S$13.20 (usual price is S$18.90) at Watsons earlier this month. For many years, my staple brow defining product was MAC Cork eyeshadow applied with a Maybelline flat slanted eyeliner brush. Even after eight years of near daily use, I have used up only about two-thirds of it. But I was getting tired of Cork so I've been trying out other brow liners recently such as the Paul & Joe Eyebrow Pencil Duo 01 and Tarte emphasEYEs High Definition Brow Pencil in Taupe. While both the Tarte and Paul & Joe brow pencils worked alright and were easy to use and control, I think the K-Palette Real Lasting Eyebrow may just become my new staple. Its most attractive feature is that thanks to the slim brush tip, you can create elegant brows that taper to a much finer tip compared to brow pencils. The slightly translucent liner liquid flows naturally into the brush tip. There is no button to push and you also do not have to shake the liner up and down like you have to with the Dolly Wink and Heroine Make liquid liners. The Lasting Eyebrow feels cooling upon application. The liquid is semi-translucent so you can layer it to your desired intensity. It does take some practice to get the hang of, but once you get used to it, application takes just a minute. 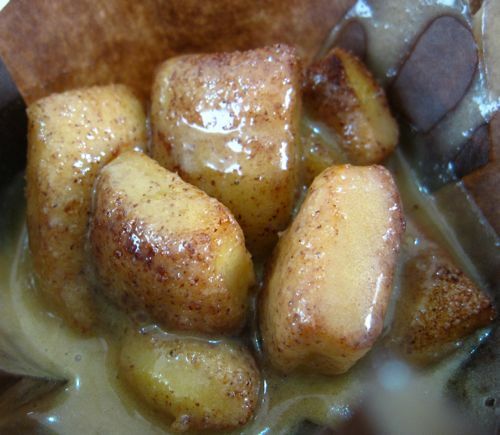 Once it dries, it lasts for the whole day without fading or smudging. As I have sparse eyebrows, I really need a brow definer to complete the look. 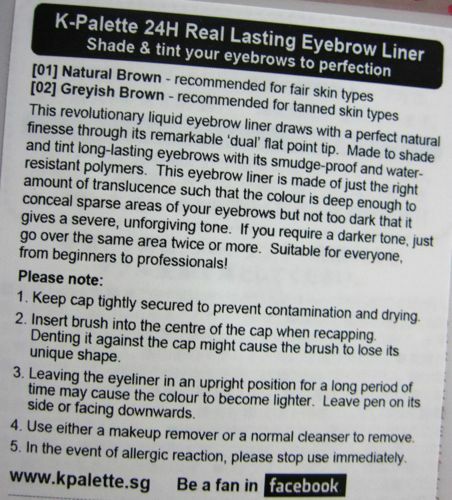 The Real Lasting Eyebrow comes in just two shades, 01 Natural Brown and 02 Grayish Brown. 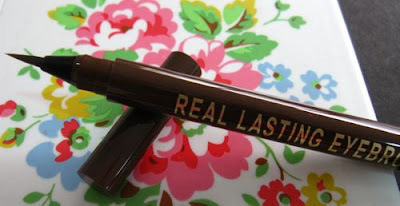 According to the K-Palette (Singapore) Facebook page, the Real Lasting Eyebrow is on sale at 15% discount with 20 bonus points for Watsons members until 30 June. You can read more reviews of it on Siz World of Makeup, Makeupstash and Icyabstract. 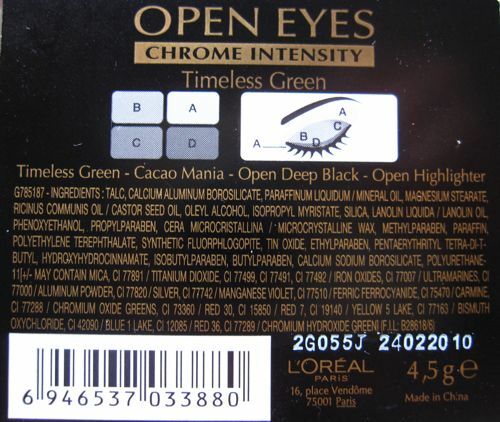 The L'Oreal Open Eyes Chrome Intensity Timeless Green is part of a collection of four vividly-hued palettes that L'Oreal released in Singapore in May. When I first saw it in Watsons, the smokey metallic green shade in it reminded me immediately of MAC's Humid eyeshadow. 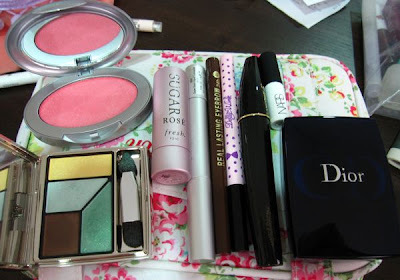 I've already reviewed the Aquadisiac and Pink Mania palettes. You can also see swatches of the three quads in this earlier post as well. I still have Amber Magic (the quad that is exclusively available in department stores such as Robinsons and John Little) left to review. 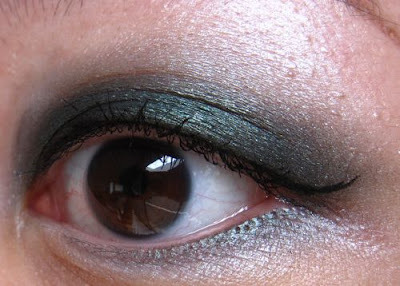 I used an eyeshadow brush to apply the white shade over the browbone area down to the crease and the inner corners. 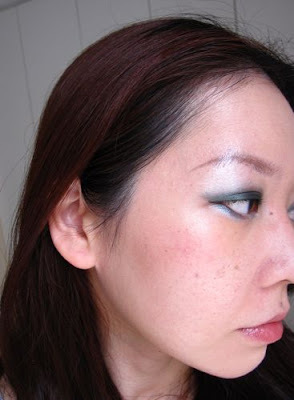 Next, I used the fat end of the sponge applicator to apply the green shade from just above the upper lashline to the crease and along the outer half of the lower lashline. Using the thin end of the sponge applicator, I lined the upper lashline with the black shade and blended it with the green at the outer corners. Then I used the brush again to blend the white and green shades in the crease area in a windshield wiper motion for a more graduated effect. Then I dipped the brush into the white shade and smudged it along the lower lashline. Like the other palettes in the Chrome Intensity collection, the more colourful shades in Timeless Green are fabulously pigmented and blend well with one another. 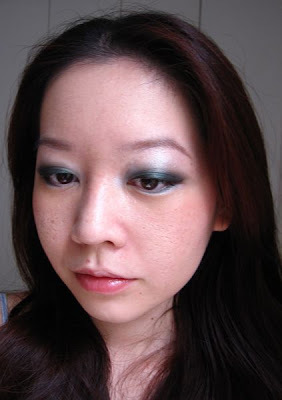 If you are looking for a smokey green palette, then Timeless Green is a good (and very affordable!) option to check out. Here are the products that I used for today's look: Dior Capture Totale High Definition Serum Foundation SPF15 020, Hard Candy Welcome Matte Mattifying Powder, Tarina Tarantino Parasol Blush, Fresh Sugar Rosé Tinted Lip Treatment, Lancome Virtuose Precious Cells mascara, RMK Super Basic Liquid Concealer EX01, Dolly Wink Liquid Eyeliner and K-Palette Real Lasting Eyebrow 24h in 01 Natural Brown. Some ladies may think that green eyeshadows are difficult to pull off, compared to the safer options of brown, beige and pink. But actually it's more a matter of playing around with different shades and application methods to find a look that suits you and that you are comfortable with. 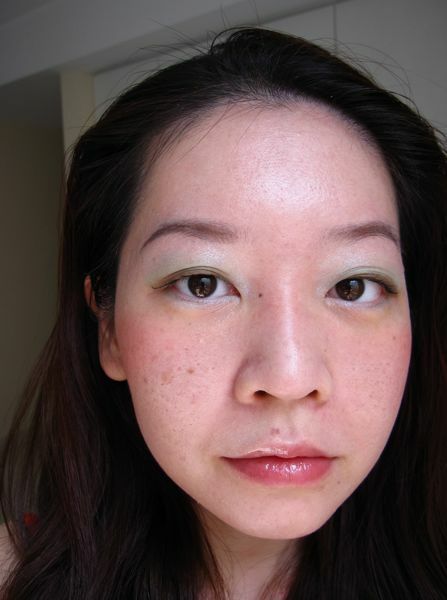 For example, I don't use yellow-toned green/chartreuse shades like MAC's Bitter and Sweet & Punch (from the recent To The Beach collection) although others love them. 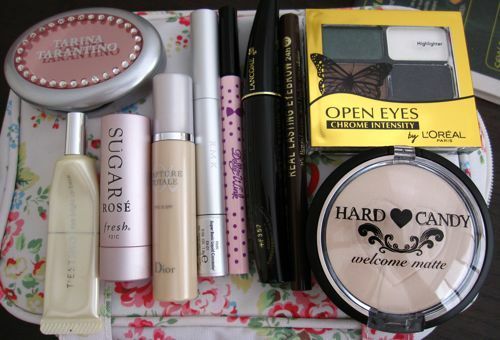 I also usually use just three to four eyeshadows maximum for my daily looks. Some bloggers like to use eight or nine eyeshadows for a single look and while that's totally fine if you want to be more creative, you really don't need that many on a daily basis. RMK Spring Modern Eyes #2 Moss Green appealed to me when the RMK Spring 2010 collection was first released at the beginning of this year. 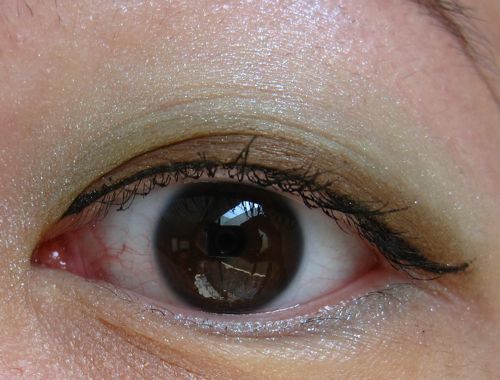 But the inclusion of the sunny yellow shade made me hesitate in picking it up as I'm just not into yellow eyeshadows. Like the Spring Modern Eyes #1 Goldish Blue palette that I purchased earlier, the shades tend to apply very sheer with a delicate fine shimmer. 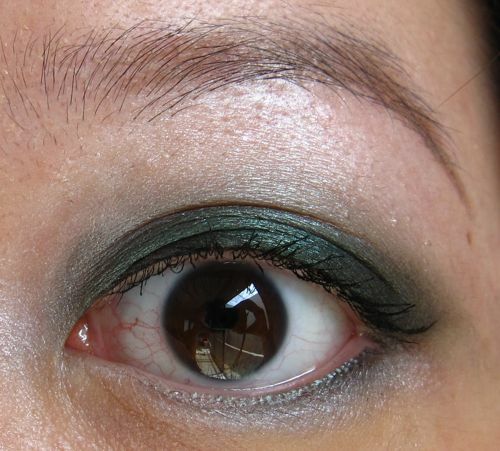 For example, the dark brown shade actually applies as more of a light brown while the darker green shade applies more like a pale green. 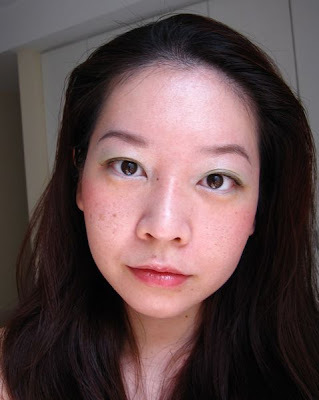 For the look below, I used NARS Smudge Proof Eyeshadow Base and was quite disappointed that I could not get the darker green shade to show up more intensely like how it looks like in the compact, despite 'packing' it on with the included sponge applicator. 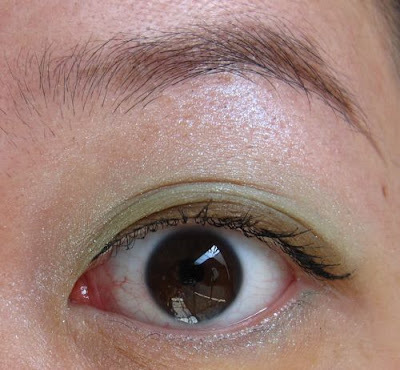 I applied the light green shade over the browbone area, the inner corners and along the inner half of the lower lashline; the darker green shade from the upper lashline to the crease and along the outer half of the lower lashline; and the brown shade along the upper lashline. Then I finished the look with Dolly Wink Liquid Eyeliner, Lancome Virtuose Precious Cells mascara and K-Palette Real Lasting Eyebrow 24h in 01 Natural Brown. 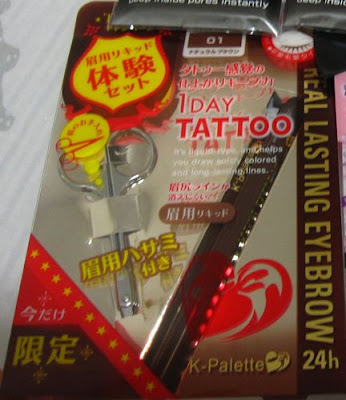 This is also my first time trying out the K-Palette Real Lasting Eyebrow and can't quite make up my mind about it yet. For the rest of the look, I also used Dior X4 Control Compact Foundation, Tarina Tarantino Parasol Blush, Fresh Sugar Rosé Tinted Lip Treatment and RMK Super Basic Liquid Concealer EX01. If you like your eye makeup to be fresh, simple and natural, then the RMK Spring Modern palettes may be suitable for you as the eyeshadows are sheer and easy to work with. 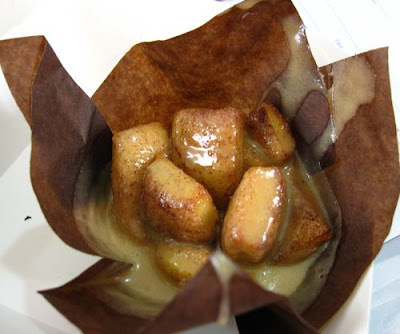 The texture is very finely milled without being overly powdery and there are also no messy chunky glitter particles. 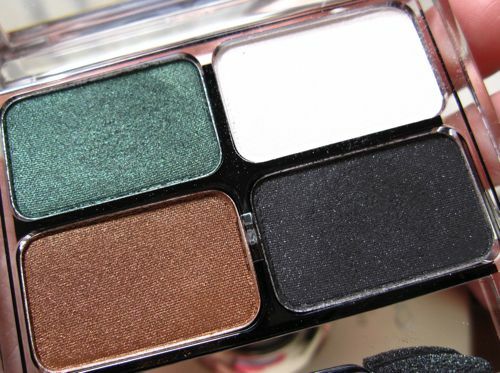 But if you prefer more pigmented eyeshadows, then I would recommend the Lunasol line instead, especially the Star Shower Eyes or Sheer Contrast Eyes palettes. 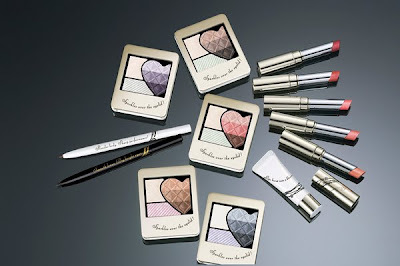 There are also much more affordable options like Fasio Shade Trick Eyes and L'Oreal Open Eyes Chrome Intensity (both are easily available at Watsons in Singapore) if you are looking for shimmery eyeshadows with a smooth texture, good color payoff and intensity. 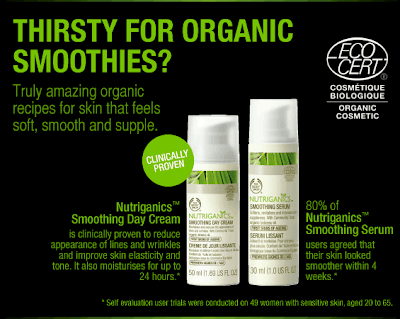 The Body Shop (Singapore) is giving away 10 full sets of their Nutriganics skincare range. Details in the pic below. Good luck!